Fun microbiology news this week. The BioBE Center has a new paper that is getting a lot of press. The paper is about microbes and roller derby. Really. 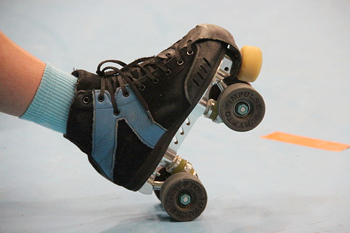 If you want the inside story check out the guest post by Ashley Bateman from the BioBE Center on my Tree of Life Blog: The Tree of Life: Guest post from Ashley Bateman on “Full contact microbes” – Roller Derby.